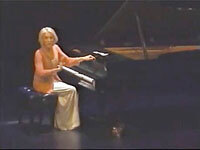 KEEPING TIME is a solo tour-de-force in which Marthanne, a lady old enough to know better, plays all the parts and the piano. Music by Rossini, Liszt, Satie and Gershwin as well as appearances by Cocteau and Dorothy Parker among other luminaries, are interspersed with reminiscences of a woman who knew them. 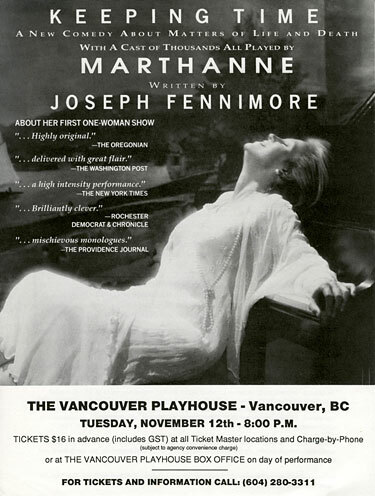 Written by the American composer Joseph Fennimore, KEEPING TIME is one of many Fennimore works that Marthanne has performed.